Since 2014 we support the industry with engineering of major industrial projects. New ideas, embedded in proven processes, will be put to practice by a professional, international and highly flexible team throughout all levels of the glass production. The team of about 15 people can handle all requests of innovative and technologically complex requirements in the container glass market. Our team has a vast experience in container glass and is used to work in a structured working process, very professional and highly motivated. From the idea, to planning, project starting, controlling and monitoring, executing, and commissioning in time and the closing, within budget and quality. Also, we can support you in improving your performance, operating primarily through analysis of existing problems and development of plans for improvement. 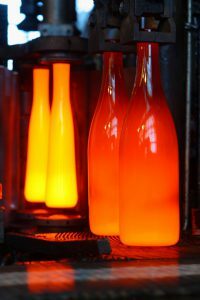 We provide optimal advice, particularly for the Hotend area of container glass plants and with questions regarding production processes such as BB, PB and NNPB. We can design and develop, and build any equipment you might cannot get in the market. Our consultants are all very experienced professionals in a specific field and have a wide knowledge of the subject matter. We usually work as external consultants whose expertise is provided on a temporary basis. However, we can work as an internal consultant, which would act within your organization but would be available on areas of their specialties. By using our service, you will be able to access to deeper levels of expertise than would be feasible for you to retain in-house on a short-term basis. Moreover, you can control your expenditures on consulting services by only purchasing as much services as desired. Usually, our findings are presented in reports and presentations to the management. We work as independent consultants. Many of our professionals also join networks or alliances that allow them to find collaborators and support based on the individual needs of each client.